Who wouldn’t want the ability to be in two places at once? With the increasing number of people telecommuting and businesses that are going global, being able to communicate with the rest of your team while you’re cozily ensconced in your own home is a must. 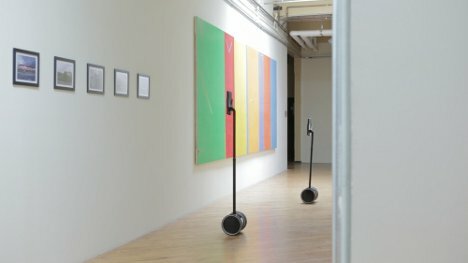 The Double is kind of like a Segway for your iPad, letting you control a remote presence from anywhere else in the world. 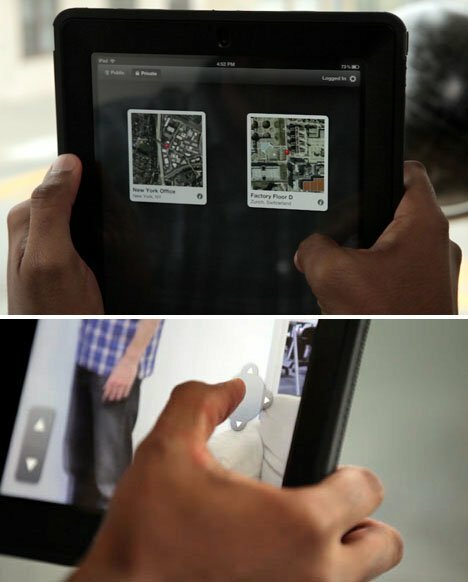 Using a second iPad or another iDevice, you drive the Double with a simple, intuitive interface. The iPad attached to the Double can always stay at the level of the people or environment with which you’re interacting thanks to the motorized height controls. And when you want to stop rolling around and be still for a few moments, the dual kickstands engage to hold the Double stationary. While the Double system is ideal for a teleconferencing setting, it can be used in a ton of other capacities as well. Its very existence is due to its inventors being frustrated with an overseas manufacturing process in which they could not easily tour the facilities and keep an eye on their project. 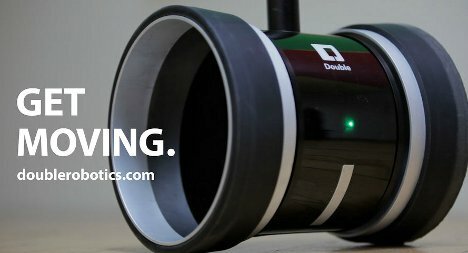 Touring remote locations – manufacturing plants, museums, college campuses, galleries – would be remarkably simple (if not quite as good as being there in person) with the Double. Families separated by large distances could benefit from the technology, as well. Those who can’t afford a plane ticket or are unable to travel could tap in to the family’s Double to attend family reunions. Of course, when you consider the $2500 price tag – not including the price of the iPad and whatever other device you’ll use to control the Double – it becomes clear that this isn’t just a fun toy for Uncle Carl to play with when he would rather watch football at home than come to Thanksgiving with the family.